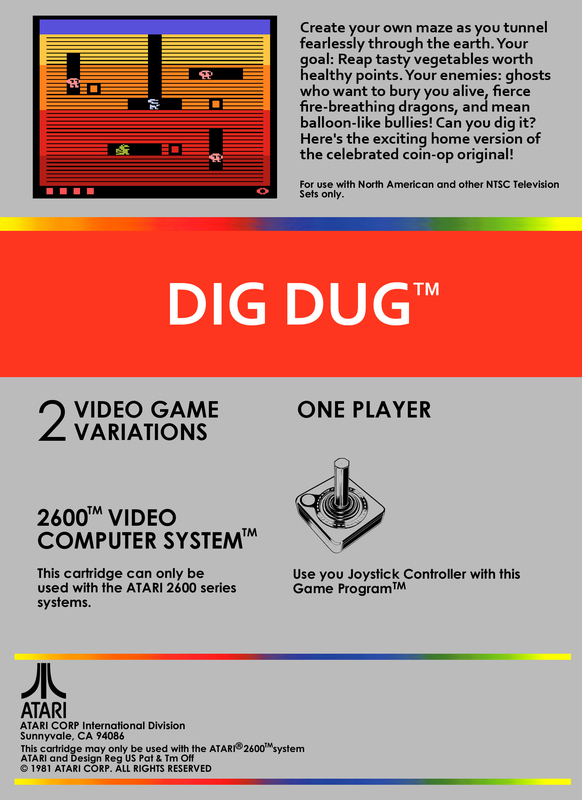 Краткое описание: The objective of Dig Dug is to eliminate underground-dwelling monsters. This can be done by inflating them until they pop or by dropping rocks on them. There are two kinds of enemies in the game: Pookas, round red monsters (said to be modeled after tomatoes) who wear yellow goggles, and Fygars, green dragons who can breathe fire. 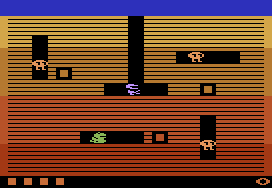 The player's character is Dig Dug, dressed in white and blue, and able to dig tunnels. 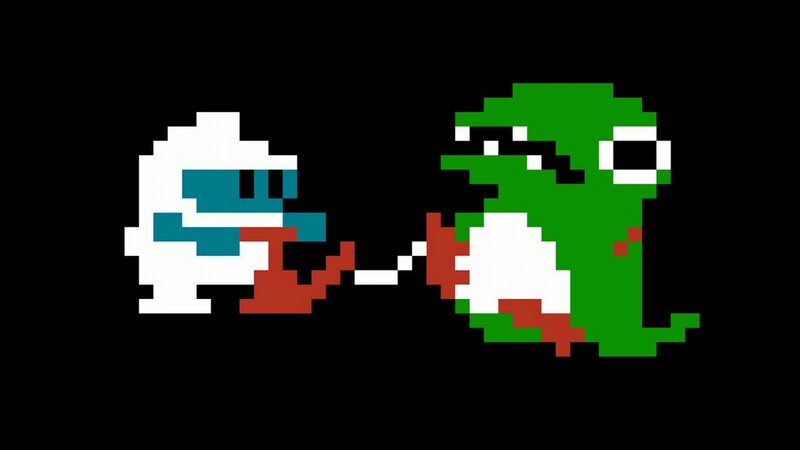 Dig Dug is killed if he is caught by either Pooka or Fygar, burned by a Fygar's fire, or crushed by a rock. 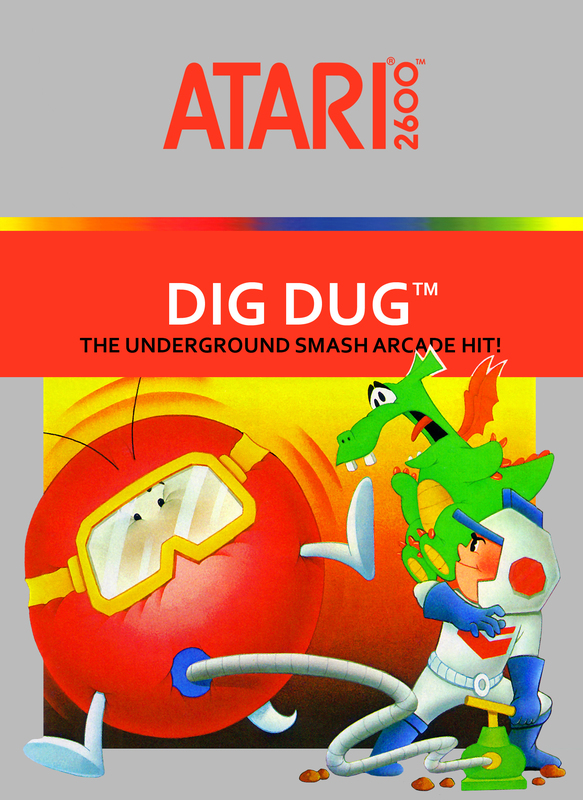 The objective of Dig Dug is to eliminate underground-dwelling monsters. This can be done by inflating them until they pop or by dropping rocks on them. There are two kinds of enemies in the game: Pookas, round red monsters (said to be modeled after tomatoes) who wear yellow goggles, and Fygars, green dragons who can breathe fire. The player's character is Dig Dug, dressed in white and blue, and able to dig tunnels. Dig Dug is killed if he is caught by either Pooka or Fygar, burned by a Fygar's fire, or crushed by a rock.